Happy Spring! Do you like historical fiction? Me, not so much....they often times can be, well, dull, flat and boring. I am pleased to say I've discovered one author whose writing is excellent. His stories capture your imagination, his characters are three dimensional and the historical aspects are educational to say the least. 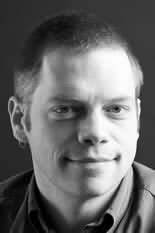 I had the pleasure of reading "The Forgotten Legion" last year by Ben Kane and totally fell in like with his writing. He approached me asking if I'd be interested in reading his book and I'm so glad I took him up on his offer. Check out my review of story here, then come on back. Ben sent me two copies of The Silver Eagle, one to give away, last year. It unfortunately got buried in my bookshelves. I came across it the other day, slapped myself silly up side the head for losing it and decided to read it. 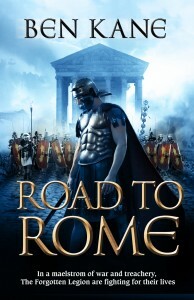 Coincidentally or should I say synchronicity in the works, Ben contacted to let me know The Road to Rome was coming out in the U.S. and would I like a copy to read and review. Emphatic yes with a heartfelt apology for forgetting about the other book. It all actually works out well since I won't have to wait to find out what happens to the characters in the next book. I already have it. :) So my darlings, I will be reading both books and hosting a giveaway mid April. If you love historical fiction and you haven't checked out Ben Kane yet, then now is the time to do so. His parents are Irish, which pretty much makes him Irish so the books can apply to the Ireland Reading Challenge and the Armchair Traveler. It's that time of year again. Get your spring reading list together and sign up for the Spring Reading Thing 2011 hosted by Katrina of Callapidder Day's. 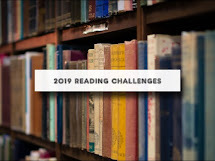 If you haven't done it before, It's a fun, low pressure, set your own goals reading challenge. I participate every year. The Pint Man wins. Will download it to my nook and let you guys know how I like. Thanks for playing. Just left a link for "One Thousand Gifts" for the 12th week. I'm really enjoying this challenge, and thank you for hosting it. It's great seeing the diversity of books being read, and finding new ones to add to my list of "I want to read" books. Thanks for hosting this. It's been great participating this year! I do enjoy historical fiction! So many books and so little time. If I were not trying my best to read every classic I ever missed I would read them right away. I'm actually struggling to get the reading completed this year and you want reviews? sigh....failed again. I have Ben Kane's books in my "to read" stack, thanks for the review! I will have to keep an eye out for these books, sounds like a great read. @Harvest Moon: Glad you are enjoying it. @Fairy Tale Mama - Will let you know as soon as I read it. @Mama Teaching 3 - the classics do have a way of drawing our attention. Enjoy! @Book Dragon - Relax. Reviews are not required. Read and enjoy! @Lizzie - Goodie. Can't wait to hear what you think. @Paul - They are good.